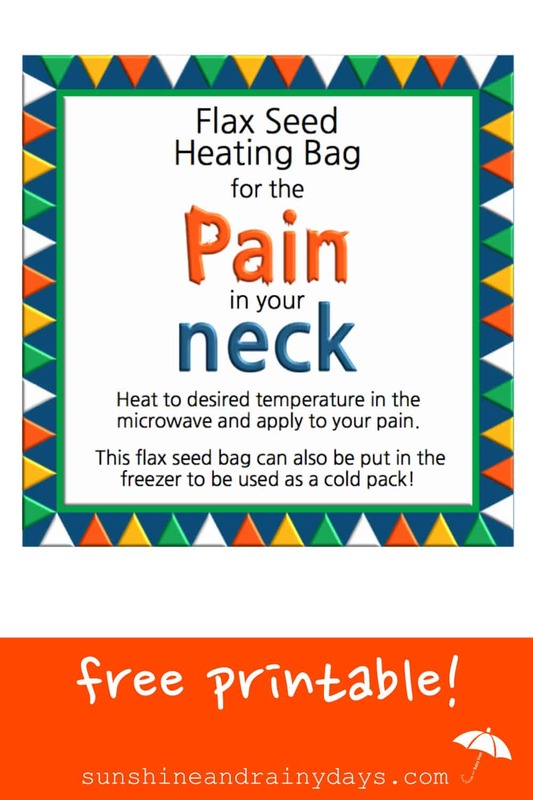 Blake asked me to make flax seed heating bags for his office staff since he is (as he said) ‘a pain in their neck’! Always the funny guy! We made flax seed heating bags for everyone in the family a few years ago and they were a big hit and definitely get used! 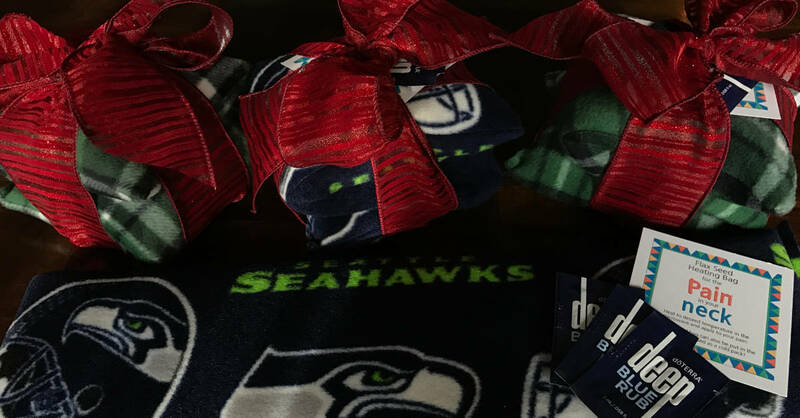 Blake picked Seahawks fleece and another pattern. I cringed a little when he picked the Seahawks fleece. Not because I have anything against the Seahawks but because I knew it would take extra work to make the pattern come out right. We also wasted some fleece in our effort to get the right pattern on each flax seed heating bag. I have to say they turned out awesome though! It is certainly easier to use a solid or small pattern that doesn’t need to be matched! I have also used the leftovers from cutoff jeans to make flax seed heating bags. Talk about easy! This time around I purchased matching thread but was quickly reminded it is much easier to use a contrasting color so it’s easier to see where you are sewing! I have a Brother sewing machine I purchased at Costco years ago. It is a simple straight forward sewing machine much like the one below. It has seen many projects and keeps working away! I hide my fabric scissors from the family because, we all know good and well, if they’re used on paper, they won’t work as well on fabric. This is absolutely optional but makes cutting perfect lines sooo easy! We purchased flax seeds in the bulk section at WinCo! That’s where we found them for the best price. If you don’t have a WinCo nearby, I’m sure other grocery stores with bulk food sections have them. I like to fold the flax seed heating bags in half or thirds and then tie a coordinating ribbon around them. No need for additional wrapping! Grosgrain ribbon is my favorite! Your gift recipients may wonder what in the world this bag is for, right? 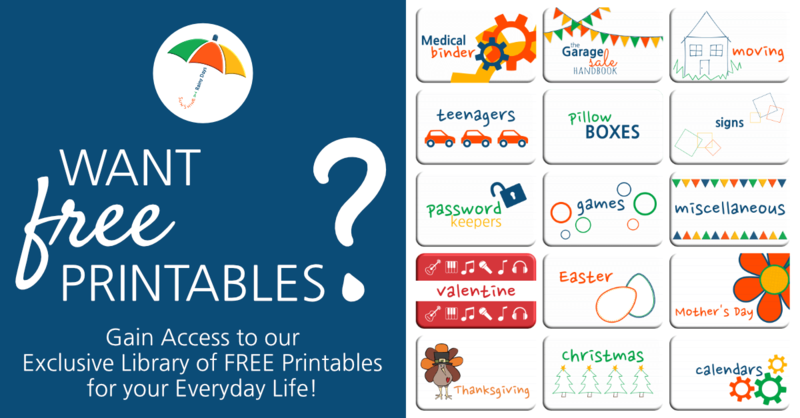 That’s where our awesome Pain In The Neck printable comes in! 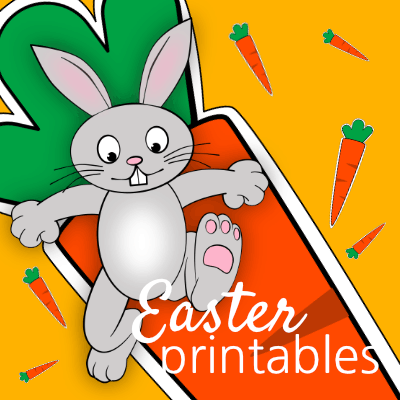 Click the picture below for your free PDF printable! I didn’t realize I would write a post on flax seed heating bags and, unfortunately, did not take step by step pictures. Shame on me! They turned out so well that I just had to share so stick with me on the picture-less instructions. An Oregon Cottage also has a very useful video on assembling flax seed heating bags! Using the Fiskars rotary cutting set or your fabric scissors, cut 19″ x 12″ pieces of fleece. Fold the fleece piece lengthwise with good side in. Pin the long open side as well as one short end. Start at the short end on the folded edge and bartack (bartacking is when you sew a few stitches then back up and go forward again to secure the stitching) using the edge of your presser foot as the guide. Sew to the corner, rotate, and sew along the long edge. Once you reach the end of the long edge, bartack again to secure your stitching. Clip your corners to avoid bulk when turning. Turn your sack right side out and use your scissors to push the corners out. Now it’s time to fill! I tend to fill the sacks with flax seed until they are a little past half full. Since you are using fleece, there really is no reason to turn your ends. Just pin the open end together and sew, bartacking at each end! If you are giving the Flax Seed Heating Bags as a gift, simply fold them in half or thirds, and wrap a coordinating ribbon around them! 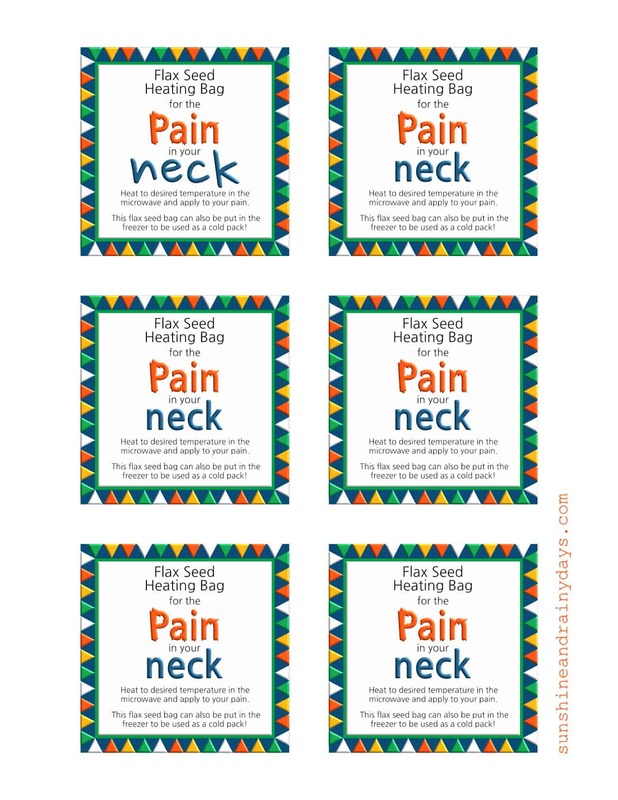 Finish off with a Pain In Your Neck tag from the free printable above! We also added in a few sample packets of Deep Blue! Blake will deliver his gifts tomorrow and I’m sure he will ham up the ‘Pain in the Neck’ aspect! Have you made flax seed heating bags? Ooooh, Kay! You gotta make one! They are also great at warming up the bed on a cold winter’s night!